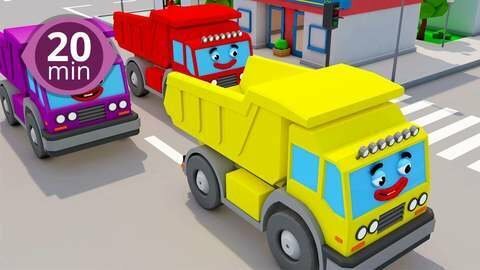 Toddlers learn colors in free nonstop 20 minute cheery 3D car cartoons videos online. See Purple Dump Truck pick up the last purple box and dump it in his purple bin. Enjoy for free online at SeeZisKids!